Meat and cheese: A mixture of cheeses and the finest deli meats in Williamsport, PA make these trays a classic favorite. 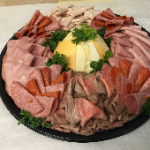 Choose the cold cuts you prefer and complement them with the right cheese to create a platter that’s delicious, filling and optimal for most events. Fruit: A sweet, succulent fruit platter in Williamsport, PA is a great addition to any party and the perfect complement to a main entrée. 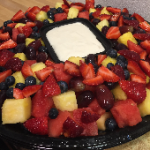 Our signature combination of fruits and berries is enough to make any mouth water! 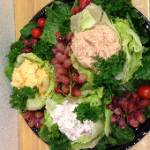 Each of our fruit trays is made with only the freshest fruit. Veggie: Enjoy celery, carrots, broccoli, bell peppers and an assortment of other fresh vegetables when you order one of our veggie trays. They’re a great complement to any meat or fish entrée and are a staple at parties or events where grazing is expected. 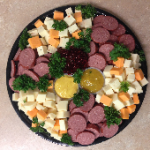 Cheese and bologna: We’re well-known for our ring bologna and make it available to customers through our party trays. Pair it with some cheese and a few crackers and you’ve got an unbeatable snack, great for all ages and any social gathering. Cookie: Fresh-baked cookies are the perfect grab-and-go dessert, making them a nice addition to any social gathering or just to set out in the office. 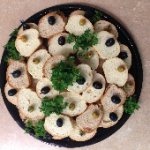 Our trays come with several different cookie varieties, with Hershey Kisses to complement them. 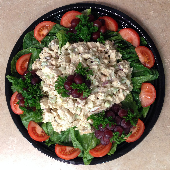 Spreads: Enjoy our highly-recommended pimento cheese, ham spread and chicken salad, as hors d’oeuvres or snacks! 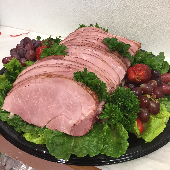 Each spread is wrapped in a bowl of lettuce for presentation, making a tray that’s as delightful to look at as it is to eat. 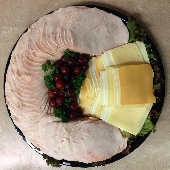 Just add crackers and you’re set! 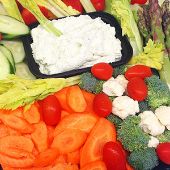 Our various trays bring fresh, delicious food to any situation and can feed groups in various sizes. 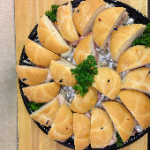 Get in touch with us today regarding your event and the number of mouths you’re feeding, and we’ll help you put together a delicious tray that everyone will love.